Along with Broadway, Wall Street is perhaps the best-known New York City thoroughfare. A metonym for the financial industry, the eight-block-long stretch in Lower Manhattan was originally named "de Waal Straat" by Manhattan's early Dutch settlers. The most widely accepted explanation of the name is that it's derived from the wall built by Peter Stuyvesant, the last director-general of New Amsterdam, on the Dutch colony's northernmost border to keep out rival English settlers. (Stuyvesant also lends his name to a short stretch of street in Manhattan's East Village and an avenue in Brooklyn, along with many institutions across the City.) Another theory, however, is that Wall Street may be named for the 30 Walloon families, who were among the first European settlers of the island. As one of the main north-south thoroughfares in Manhattan (and its oldest), Broadway's moniker may seem self-evident. However, the name is a translation from—you guessed it—the Dutch phrase brede weg, or "broad road." Fun fact: Broadway not only runs the length of Manhattan but continues through the Bronx and even 18 miles beyond the City, ending just past Sleepy Hollow, New York. Bowery is the English version of bouwerij, Dutch for "farm." It connected the farmland on what was then the outskirts of the City to the Wall Street area. 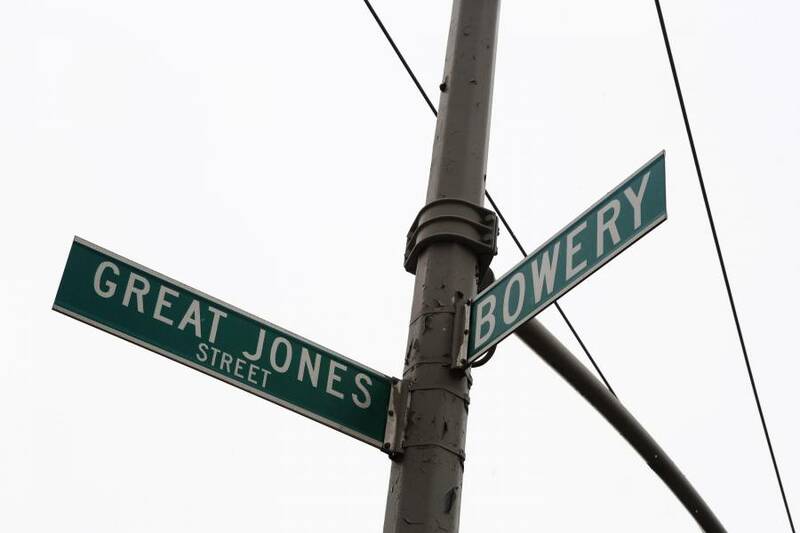 Until 1807 it was known as Bowery Lane, but today is simply named Bowery or the Bowery—no "street," "avenue" or "boulevard" needed, thank you very much. If you're a visitor to the City, one sure way to give yourself away as being from out of town is to pronounce this street like the name of the city in Texas. 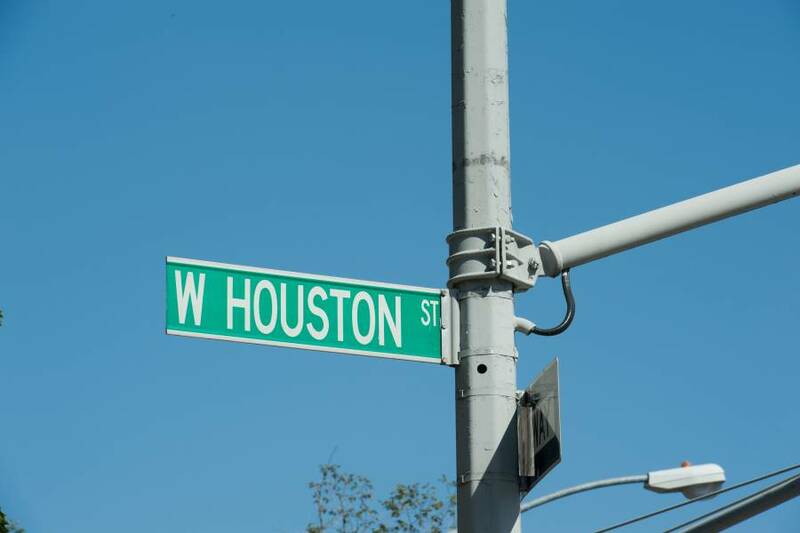 In NYC, the name is pronounced "HOW-ston" and is named for William Houstoun, a delegate from Georgia to the Continental Congress from 1784 through 1786. Wealthy landowner Nicholas Bayard III named the street; he ran it through property he owned at the time. William Houstoun was Bayard's son-in-law. 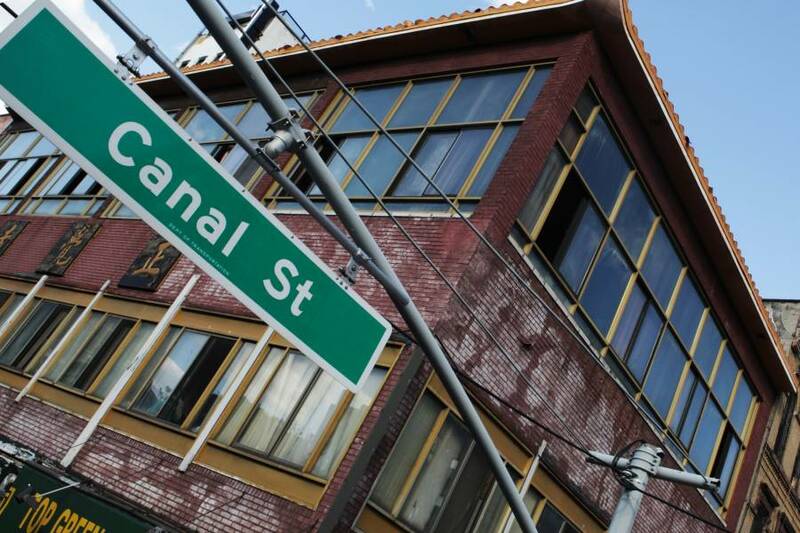 Today, Canal Street is one of Lower Manhattan's major east-west thoroughfares. It takes its name from a canal that was dug in the early 1800s to drain Collect Pond into the Hudson River. In the 1700s, Collect Pond, which was located between where City Hall and White Street are today, was a popular picnic area and wintertime skating rink. It also provided drinking water for the growing City, but by the early 19th century had become polluted. The pond was filled in 1811, and Canal Street was built along the path of the drainage system. There's not too much mystery behind the East Side's only named avenues. 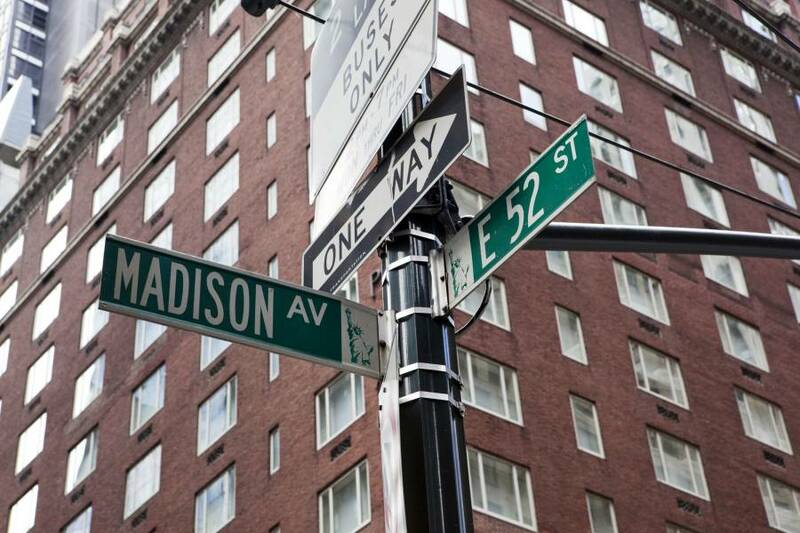 Madison Avenue takes its name from Madison Square, its southernmost terminus, which is named after President James Madison. Originally called Fourth Avenue, Park Avenue had an inauspicious beginning: it was originally the route of the New York and Harlem Railroad. The tracks between 34th and 40th Streets were eventually covered, in the 1850s, with grating and grass. The section along this stretch was named Park Avenue. The rest eventually took on the name, and today the road has a beautiful stretch of landscaping occupying its generously sized medians. Just two blocks north of Wall Street is the lovely sounding Maiden Lane. And why shouldn't it sound lovely? It started out as the Dutch version of "Maiden's Path," so called, according to a 1911 New York Times article, because "the girls of the early Dutch days were wont to stroll by the little stream along what was known from the first as the 'Maagde Paatje.'" An alternate explanation is that the stream was where young girls and women did the laundry. 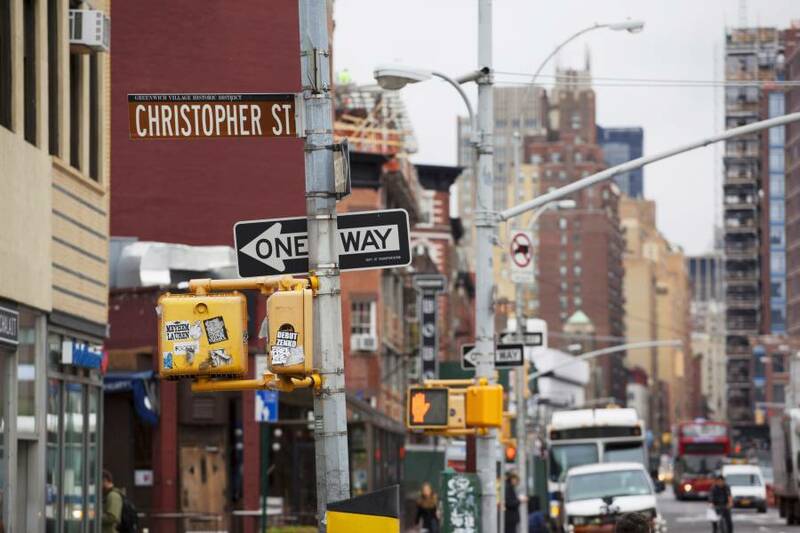 Named for Charles Christopher Amos, the heir to British Admiral Sir Peter Warren, this renowned West Village street was...er, christened in 1799. It ran along the southern boundary of Warren's estate. Amos gave his name to two other thoroughfares in the area: Charles Street remains named after him, but Amos Street has since become West 10th. A major north-south boulevard in Astoria, Queens, Steinway Street is named for the Steinway family, which built a piano empire in Astoria during the latter half of the 19th century. Fun fact: William Steinway (1835–1896), one of the company's founders, was also involved in transportation and was instrumental in digging subway tunnels between Queens and Manhattan (material from the excavation was dumped into the East River, where it's now known as U Thant Island.) He also founded a resort area to the east of Astoria, which later became LaGuardia Airport. In 1905 the Utopia Land Company bought 50 acres of farmland between what were then the towns of Jamaica and Flushing. It planned to build a cooperative community for Jewish families who wanted to leave Manhattan's Lower East Side, which was a predominantly Jewish neighborhood at the time. The company was unable to follow through on its plans, but the neighborhood retained its optimistic name and lent it to the parkway that now runs through it. This two-block-long street in Brooklyn Heights is lined mostly by a brick wall and the backs of condo buildings, but it once had a more bucolic existence. As an 1894 New York Times article reads, "The oldest residents can remember a time when there was a cool and shady path leading down 'Lover's Lane,' where plump, rosy-cheeked Dutch maidens, with their sweethearts, meandered on summer evenings out through the turnstile and down the grassy bank to the water's edge." Brooklyn Heights is home to a veritable fruit salad of street names, although Pineapple, Orange and Cranberry might make for an unusual combination. There's no definitive explanation for these delicious names, though one theory has it that in the mid-19th century a Miss Middagh, enraged by the practice of prominent families naming streets for themselves, ripped down street signs and replaced them with the fruit names—all while leaving the one for Middagh Street, named after her own family, untouched. There's no proof to back this up, nevertheless this colorful story is often repeated. Staten Island's Victory Boulevard runs along the route of the old Richmond Turnpike, once hailed as the fastest route from New York City to Philadelphia and whose stops on the island once included "Linoleumville," now known as Travis. It was assigned its current name after the Allied victory in World War I.
Mosholu Parkway in the Bronx pays tribute to the area's Native American roots. Mosholu in Algonquin means "smooth stones" or "small stones" and was the original name of nearby Tibbetts Brook. The main stretch in one of the City's most vibrant Italian communities is named not for a son of Italy but for our 21st president, Chester A. Arthur. A landowner in the Belmont section of the Central Bronx who was an admirer of Arthur's asked that the street be named for him when the City began building in the area in the late 1800s.